As a kid, I used to spend my summers outside at my grandparents’ country home. I would spend hours crouched in the dirt watching the fascinating lives of insects. I loved anthills, and would even try to build my own in attempt to get ants to move in. It never worked. I’d spy in on bird nests, and take hikes back into the woods with my dad. Nature was home, and perhaps these experiences gave me an early look into the delicate balancing act of ecosystems. Now summer is coming to a close, and teachers are heading back to the classroom refreshed and ready to try out some new ideas in the classroom. Teachers will find themselves in charge of leading lessons on the habits and ecosystems many of us spend extra time enjoying over the summer months throughout our lives. After learning about ecosystems, habitats, and the relationships among living things within habitats, at a certain point in this coming school year, many 6th graders will be asked to deepen their knowledge by researching invasive species and their impact on ecosystems. As I would for most units, I argue that this unit is best taught within an environment of authentic texts. 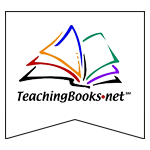 Allow students to pick and choose from books in the classroom and online articles, making a variety of reading levels available to all students. I would allow them the freedom to choose which species they’d like to research independently or within a group, help them develop guiding questions, and monitor as they choose texts and take notes in response to their guiding questions. If students were working individually, I’d have them end the project by presenting the findings of their research in small groups. If students were working in groups, I’d have each group present to the class. Below, I’ll list some titles I found in support of this unit. Most of the titles are available in print and digital. If this unit could be taught in a 1:1 environment, I would create a group on Mackin Via with these resources along with links to online articles I’d like to share with the class. This would allow the students to have all of their resources in one place, and they could easily switch to a browser to conduct their own online research as well. If I didn’t have iPads or laptops available, I’d store the print books in a curriculum kit bin labeled “Invasive Species”, and I’d bring those books out for this unit. If we had a few computers available in the room, students could take turns extending their research online. This is just a short list of recommended titles published within the last two years. Our experts in Classroom Services are always happy to build custom curriculum kit book lists to help support your lessons, so reach out to Classroom Services for more great suggestions on this unit or any other unit you’re planning for the coming school year. Asian Carp by Barbara Ciletti. 9781680720136. 2017. 4-7. Attack of the Asian Carp by Santana Hunt. 9781482456554. 2017. 2-5. Attack of the Burmese Pythons by Matt Jankowski. 9781482456592. 2017. 2-5. Attack of the Killer Bees by Emily Mahoney. 9781482456608. 2017. 2-5. Attack of the Zebra Mussels by Michale Rajczak. 9781482456837. 2017. 2-5. Australia’s Cane Toads : Overun! By Sneed B Collard III. 9781627248280. 2016. 3-6. Controlling Invasive Species by Liz Chung. 9781499427585. 2017. 2-4. Feral Pigs : Chomp, Chop! By Kevin Blake. 9781627248297. 2016. 3-6. Guam’s Brown Tree Snakes : Hanging Out by Kevin Blake. 9781627248303. 2016. 3-6. Invasive Mammals by Susan Schafer. 9781502618320. 2017. 4-6. Invasive Reptiles and Amphibians by Susan Schafer. 9781502618306. 2016. 4-6. Kudzu by Scott Pearson. 9781680720150. 2017. 4-7. Northern Snakeheads by Barbara Ciletti. 9781680720167. 2017. 4-7. Red Fire Ants by Scott Pearson. 9781680720143. 2017. 4-7. Zebra Mussels by Scott Pearson. 9781680720198. 2017. 4-7.